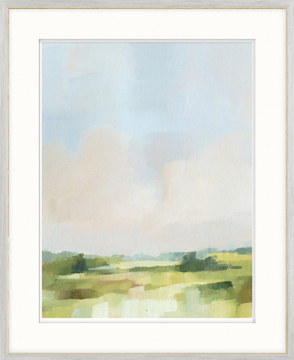 Soft, atmospheric landscape in sugary tones. 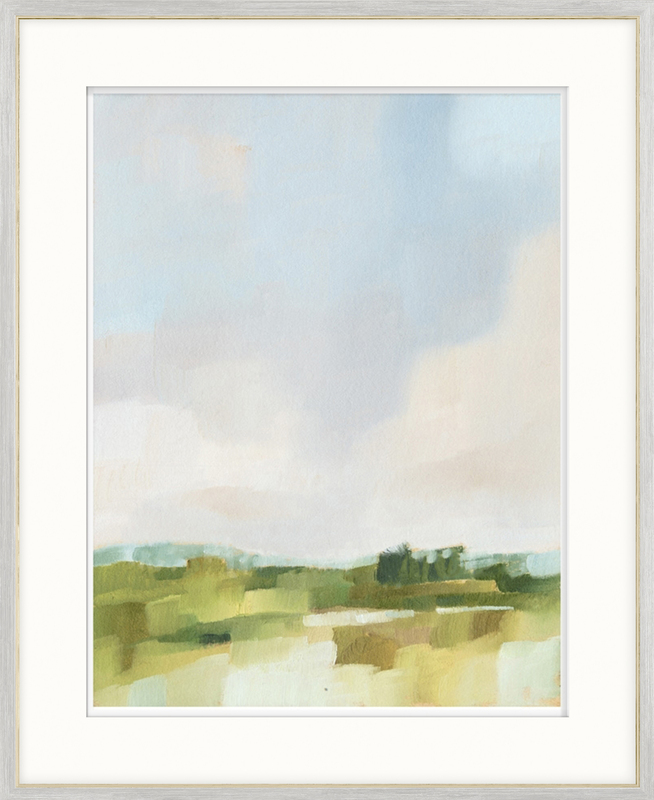 Gentle clouds fill a soft sky in this abstracted landscape. Matted and framed with a distressed, white wash wooden frame with gold gild inner lip.